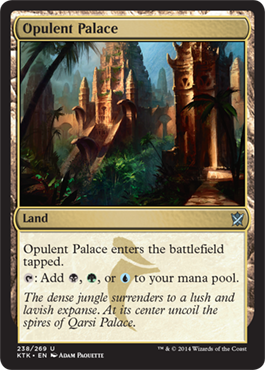 On Monday, we looked at the Abzan. 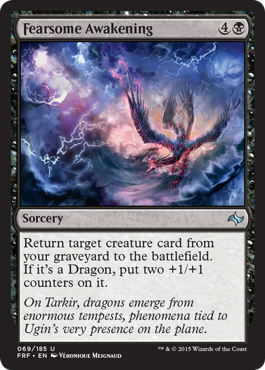 The Abzan respect the endurance of dragons the most. Endurance is survival, protection, toughness. Bolster and Outlast help with that, but they have creatures that get bigger and can endure more by having a higher toughness. 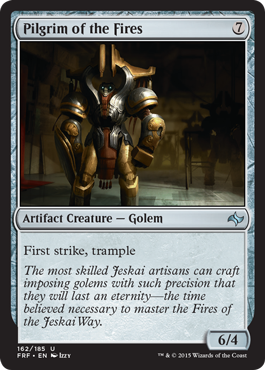 On Tuesday, we reviewed the Jeskai. The Jeskai respect the cunning of dragons the most. Cunning is tricks, patience, control. 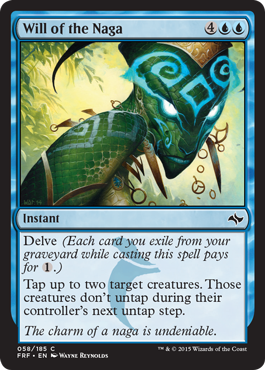 Prowess deals with the spells cast, but the other side of their methods are the control spells that remove creatures from play, stop them from entering play, and just slow the game down to the speed they want. 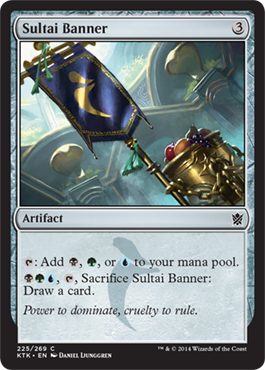 Today, we're looking at the Sultai. They respect the ruthlessness of dragons. The key here is having tricks up your sleeve. Sure, I can't play this eight mana spell, but let me exile my graveyard and cast it for two mana. Sultai cares about creatures, tricks, and the graveyard. 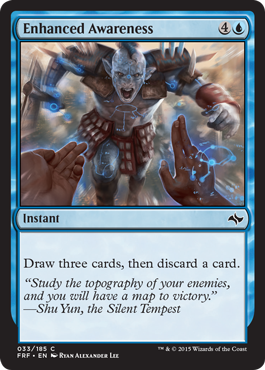 It may be five mana, but drawing cards and discarding is something useful to the Sultai. Discard a huge creature and then bring it back the next turn. Or get rid of a land from your hand. Possibilities are endless. 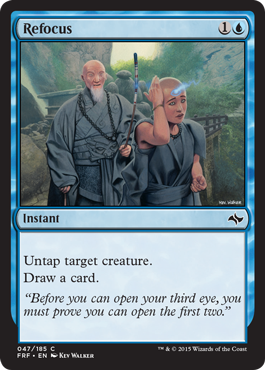 Refocus, on the other hand, has more of a Jeskai vibe. Still fits in here. Who doesn't want to draw cards? 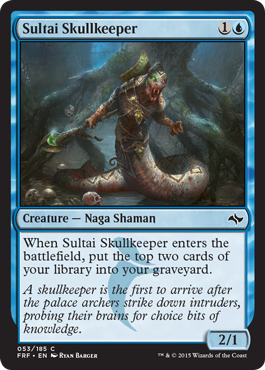 And then Sultai Skullkeeper... It's cheap, has a descent body, and populates your graveyard. Just have to be careful about what's in your deck and run multiple cards that you can cast from the graveyard or use to bring cards back. There's the control aspect I'm talking about! 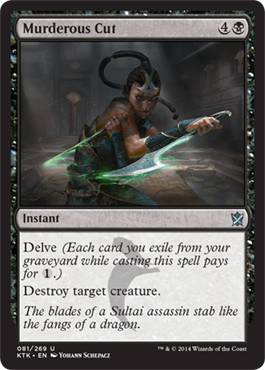 Based on the number of cards that will get dropped into your graveyard playing Sultai, this will wind up being pretty cheap. 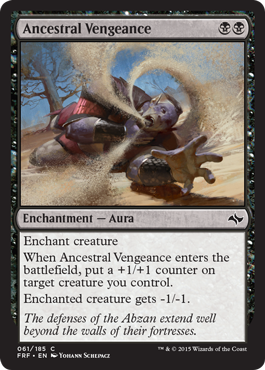 Ancestral Vengeance might be more of an Abzan card, but you can reduce a creature or kill a creature all while boosting a creature you control. Gurmag Angler is a 5/5 for one mana. Well, after you exile your graveyard anyway, but that won't be a problem, will it? Force your opponent to empty their hand. 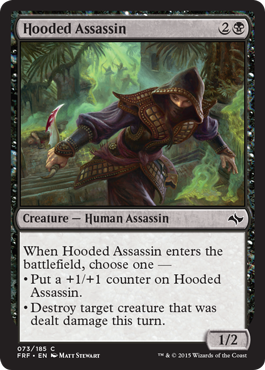 Maybe more of a sideboard if you'e playing against someone running a control deck, but still good to clear a path. Typhoid Rats should be self explanatory. 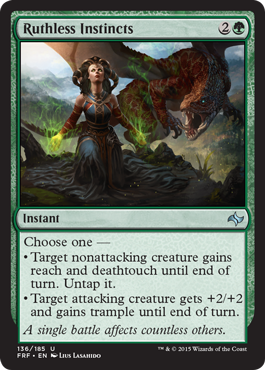 A 1/1 deathtouch creature playable on turn one. Yes please! 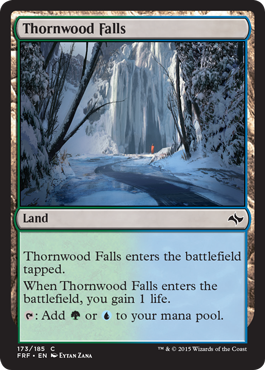 Now, Ainok Guide has an interesting explanation: Either cast a 2/2, set up a land for your next draw, or later in the game, find a land you don't need, put it on top of your library, then mill yourself to cast more Delve spells. That's thinking outside the box. Er... 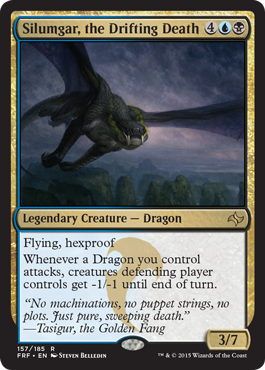 I guess Sultai has a problem with flying? 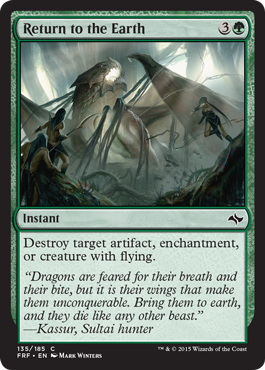 I mean, there isn't much flying in black and green, so that's likely the main weakness the Sultai have. 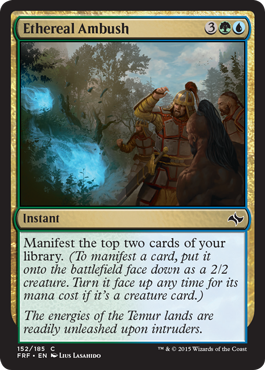 Temur Runemark is here because it's a Runemark. I seriously think they're amazing in Limited. 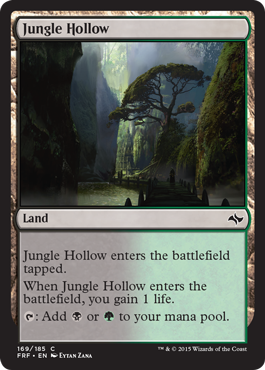 And Whisperer of the Wilds is here to help with mana fixing. You probably don't need it, but it could come in handy. Maybe it's a bias, but I really don't care for Manifest. Blocking with a flipped instant, sorcery, or land helps fill the graveyard. Beyond that, I really don't see using this. 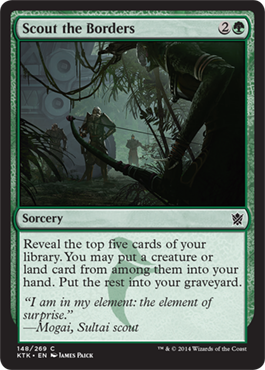 Grim Contest, on the other hand, may be more of an Abzan card due to the importance of toughness, but if you can clear the other side and add to your graveyard, why not do it? There's that good and bad milling again. 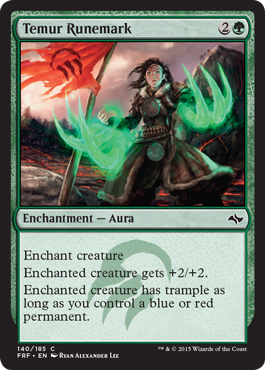 Drawing cards off Fascination is more of a group hug EDH deck. 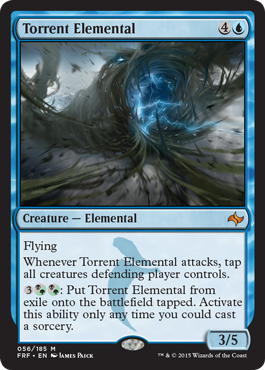 In limited when you represent the Sultai, mill. Helps you and hurts your opponent. 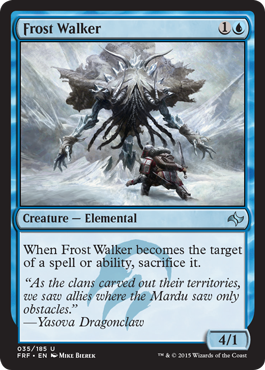 Frost Walker because an easy to kill creature fills the graveyard. And if you get it out early enough, it's pretty strong. 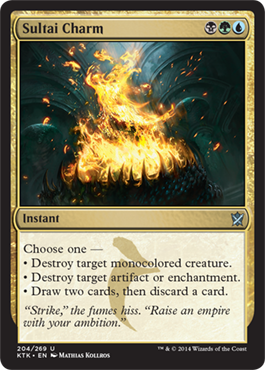 Rite of Undoing is control magic again, and Delve helps make it happen. 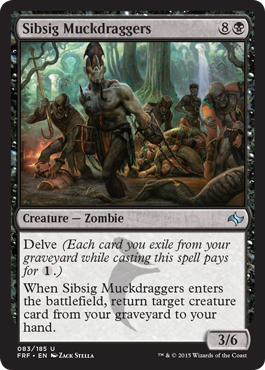 Both Fearsome Awakening and Sibsig Muckdraggers are both important in getting creatures back from the graveyard. They're both powerful spells and Sibsig Muckdraggers doesn't easily succumb to burn spells. Grave Strength is great for adding to cards usable in Delve, but also in boosting a creature based on what is in your graveyard. 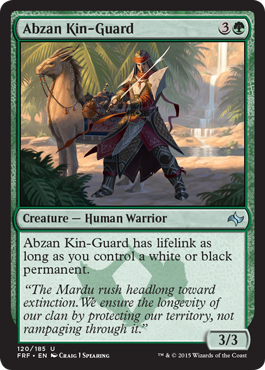 Abzan Kin-Guard is aligned with another guild, but lifelink can't hurt anything, right? 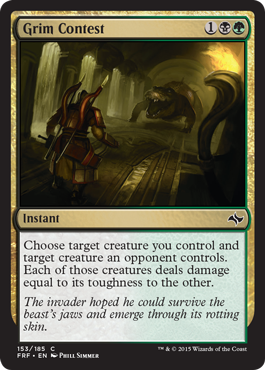 Ruthless Instincts is here because deathtouch is important to black and green so it fits into the Sultai game plan. Sudden Reclamation is another recursion spell. 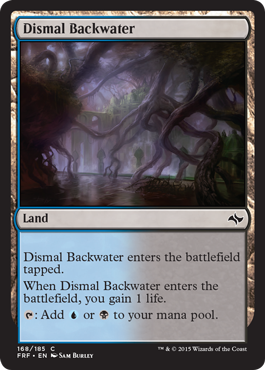 You have to mill with it, but you do get a creature and a land back to your hand. 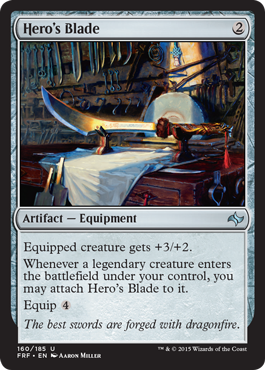 As with the past two primers, I see no problem running either of these. 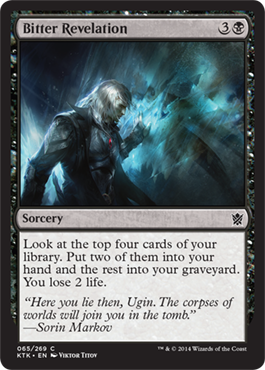 Tasigur is the Khan of the Sultai 1,280 years before the events of Khans of Tarkir... Delve to cast, return cards from your graveyard to your hand... It's good. 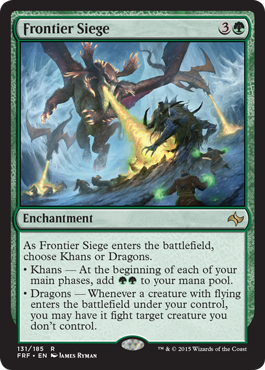 Frontier Siege is here because I didn't see any really good green rares applicable to the Sultai. 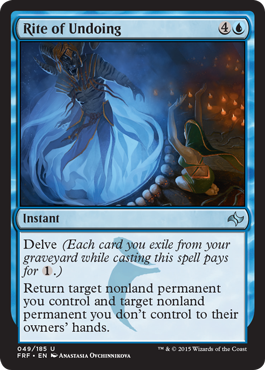 The only way this applies is that by choosing Khans, you get more mana each turn to exile less from your graveyard for Delve. And then we have Silumgar. 3/7 isn't great, but hexproof makes up for it. And he reduces the strength of an opponent's creatures. Not bad at all. 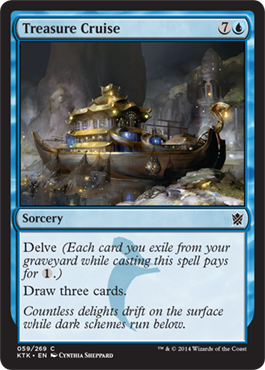 Taigam's Scheming is good for sorting your next few draws and getting some cards ready to use with Delve. Treasure Cruise is Ancestral Recall. Well, with Delve and seven more mana. Seems useful... Bitter Revelation fills your graveyard and gets you cards at the cost of life. Not too bad. 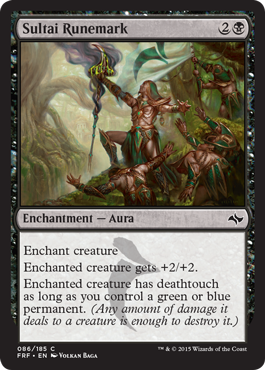 Murderous Cut is an instant kill spell that, when using Delve, pretty much costs one mana. It's great! Become Immense is a pretty powerful card. It's a costly double Giant Growth, but delve makes it more affordable. 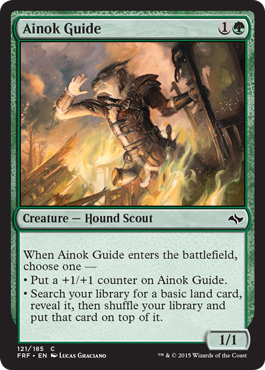 Scout the Borders helps get you a creature or a land depending on what you need and fills your graveyard. Definitely could be useful. Obligatory charm and obligatory mana fixing. Join me again tomorrow when I explore the Mardu clan!